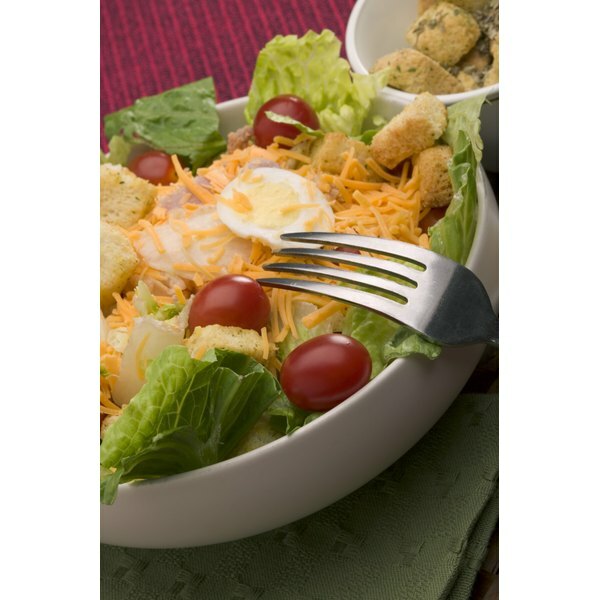 Julienned ham is a common component in a chef's salad. 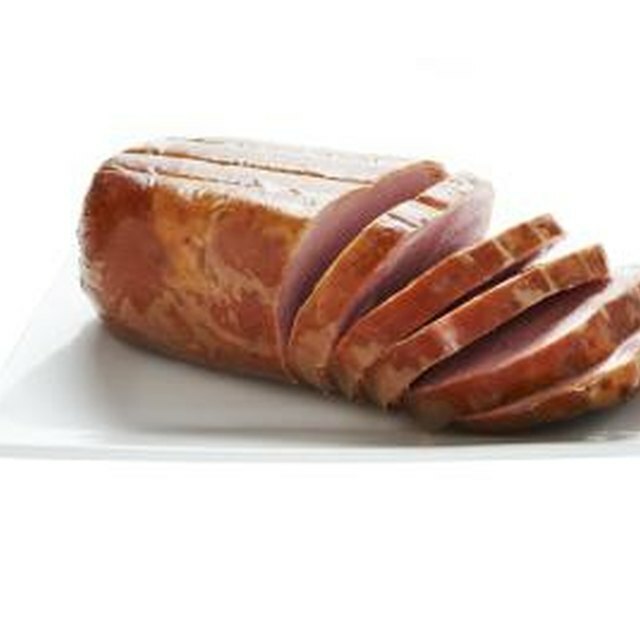 Versatile ham can serve as the main course or as a component of sandwiches, soups and dishes made with eggs or rice. You often need to cut a ham, which itself is a large cut of meat, so you can use it in other dishes. One such cut is julienne, which means strips that are 2 to 3 inches long and 1/8 to 1/4 inch wide. Julienne strips are also sometimes called matchsticks because they are thin and long. Cut a large chunk of ham from a whole, half or boneless ham, approximately 2 to 3 inches deep and at least 1 inch wide using a sharp knife, such as a boning knife. Use a ruler, if it helps you. Trim the chunk of ham to remove uneven edges so it forms a perfect brick shape. Place the ham chunk onto a cutting board. Curl the fingers of your non-cutting hand over the ham to hold it in place on the cutting board. Slice downward in an even, steady motion through the ham. Repeat the process until you have several 1/4- or 1/8-inch rectangles. Cut each of the ham rectangles into 1/4- or 1/8-inch slivers that resemble matchsticks. Discard any uneven pieces or keep them to use for another dish.